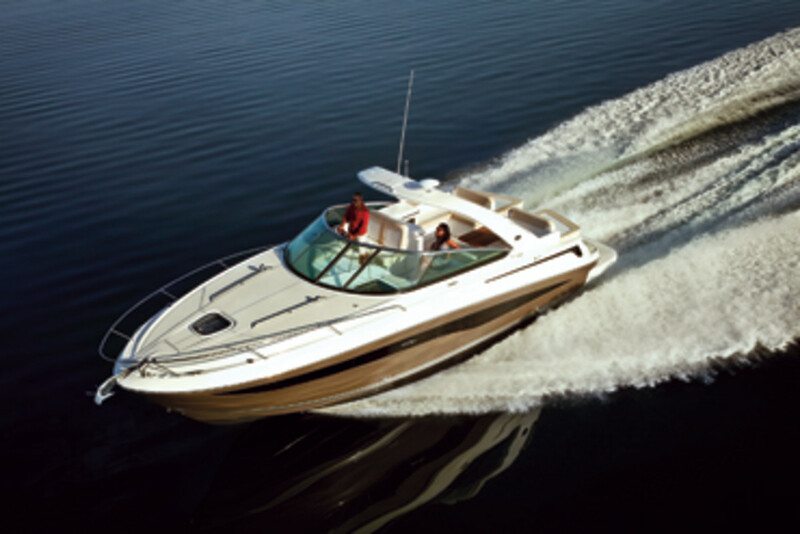 Sea Ray introduced seven new boats for model-year 2013 in Miami. The lineup includes the 370 Venture, which won the National Marine Manufacturers Association Innovation Award in the power category, as well as Boating magazine’s Boat of the Year Award. Sea Ray’s aggressive product launch is just part of the Next Wave initiative, according to Graves. “We are applying our best new technology in clever new ways,” he says. Brunswick’s vice president of product development, Ron Berman, says the focus on new and innovative products will be the “new normal” at Sea Ray. Graves says he has challenged each of the company’s brands to lead their segments in innovation and product value. How each brand executes that directive in the marketplace will differ by market position and business priorities. The Venture’s Quiet Ride, along with its concealed outboards and a larger cockpit, offer advantages in the marketplace that are unique to Sea Ray, Graves says. Sea Ray employees talk a lot about “inspired execution,” Graves says, adding that those words are thoughtfully chosen. 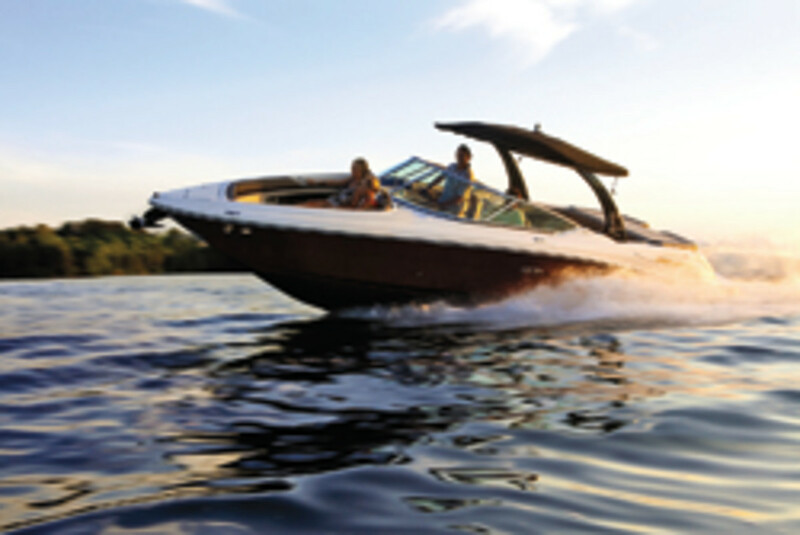 The point is to inspire boaters to recognize Sea Ray for delivering benefits they consider valuable. The new jetboats have a single throttle, making them easier to handle. They also can offer a true neutral with their jet propulsion systems, a feature that existing jetboats didn’t have without drift, Graves says. The 370 Venture incorporates some of the vision of MarineMax CEO William McGill — most notably, the idea for engines to tilt completely out of the water at the dock to avoid corrosion and other problems, says Graves. “He also asked, do we have the ability of taking the Mercury Verado benefits of less noise and vibration [and applying them to the Venture],” Graves says. He also suggested some layout changes based on consumer feedback at his 55 locations. “So we give Bill a nod for pushing us into thinking very creatively around hidden outboards, as well as asking ourselves, ‘How do we solve some of these consumer issues?’ ” Graves says. “Listening to Bill and other MarineMax folks and other dealers is part of our approach. We not only talk to consumers but also to dealers because they see and hear the everyday frustrations from boaters.